Basically, it’s a two-part test kit. It includes testing at DIY home testing for iron, pH, manganese, hydrogen sulfide, etc… and it also includes two sample bottles for testing at our lab. The lab test is quite accurate and gives results for hardness, manganese, iron, TDS, and pH. Between the home testing and lab results, we should have everything we need to make a great recommendation for you on how to remove iron and prevent odor and staining problems. The first option for odor is a self-contained sulfur filter which uses air injection to oxidize the sulfur out to then pass the water through a mixed bed of filtration media designed to remove odors from water. This is an automatic backwashing system that rinses out the media once two days in order to keep the media clean and maintain a head of air for the oxidation. The second option uses chlorine injection with the use of an injection pump. This provides extra strength oxidation for strong odors and high levels of iron and manganese (which can be linked with sulfur odors). 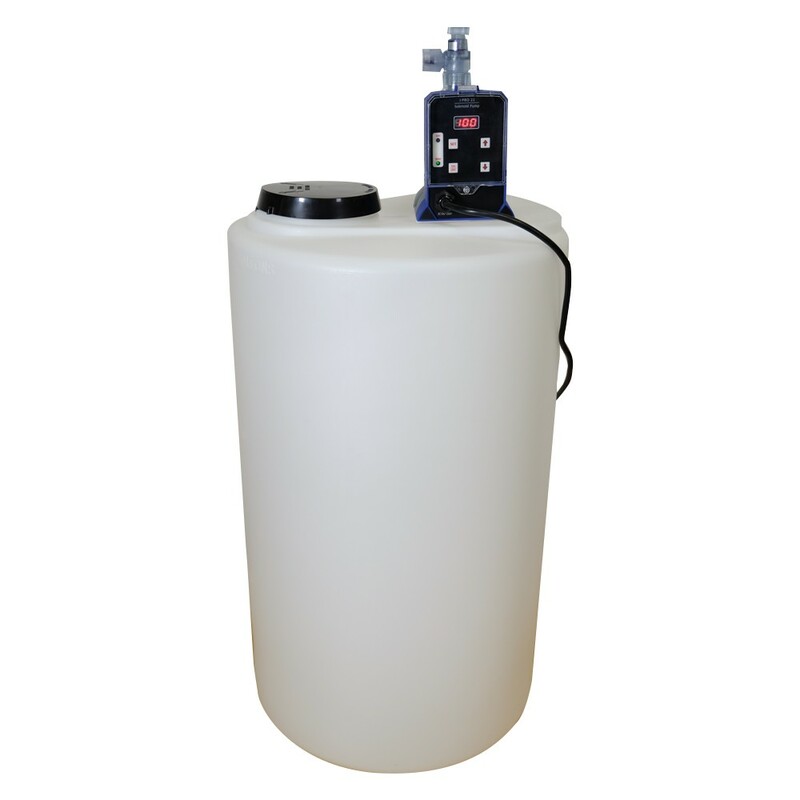 This system also provides disinfection, providing you with clean water, void of bacterial contamination. The chlorinated water would then feed into a contact tank to provide enough time and contact for the solution to react with the sulfur, iron and bacteria in the water. To remoce oxidized particulate matter, it could go through a non-backwashing carbon filter. 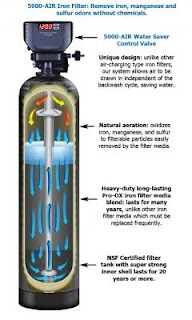 The carbon backwash filter can handle much higher levels of odor and iron, but it is more expensive and requires more maintenance, so that’s something to consider. Pressure rating: Will inject into lines with up to 100 PSI. Includes 1.5 cubic feet of carbon filter media; and Digital 5900-BT control valve. Excellent Warranty: 7 Years on Control Valve & 10 years on the media tank.